For those eager to get with the 21st Century….. Wroxton Lane is now accepting orders! So please share your experiences in selecting a supplier, as although BT are the wholesaler they are not the only providers, you can now buy these services from mobile providers as well. Remember we are not just talking the usual internet services (insert “buffer face”) but everything digital (including TV) and on multiple devices. So shop around and see what packages there are and please share if you find a good deal. 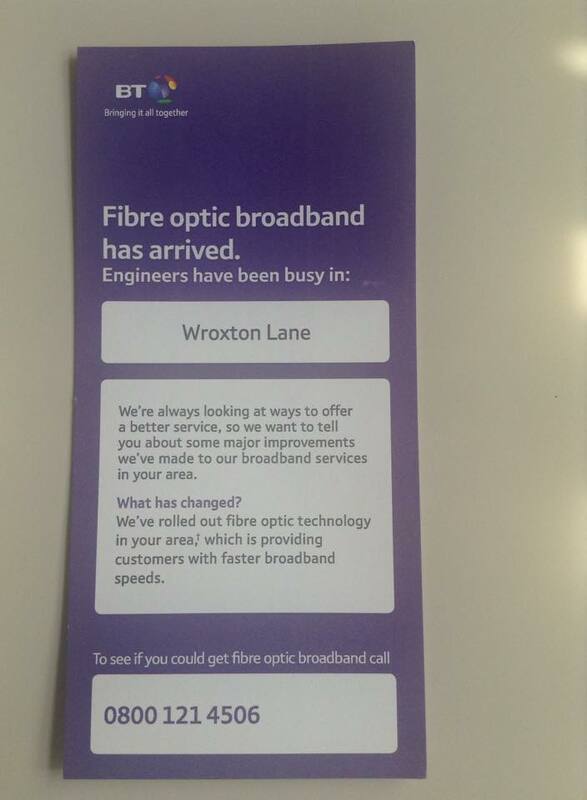 This entry was posted in Posts by Horley Views and tagged Debra Fox, Superfast Broadband on August 23, 2015 by thehorleyviews.